Ben from The Real JDM has some information on the upcoming Vspec GT-R. I am still hoping they call it a Vspec, and not a Spec V. The Spec V is a Sentra in the US. I can just see every dealer, every Sentra owner in the US saying, "its a Spec V, like my Sentra". 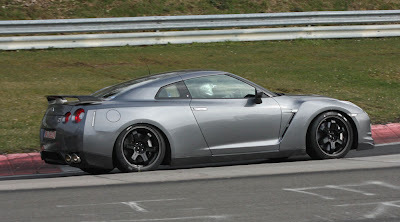 "The word is that Nismo will soon be releasing just 3-4 parts for the R35. 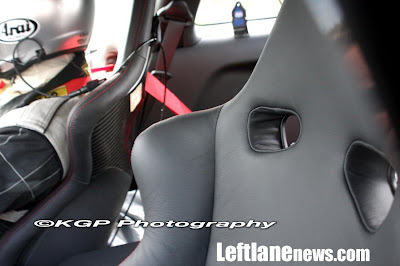 Those parts include an exhaust system as well as a very expensive pair of racing bucket seats. Word is the seats will cost approximately 1,500,000 JPY!" "I think I can trust at this point is that it’ll be released in Japan in time for Tokyo Auto Salon 2009 (by the end of this year at the latest) and that it’s price will cost roughly 10,000,000 JPY. Also I’ve been hearing from multiple sources that it (or some variants of it) will come with no rear seats." I think it will be more than 10,000,000 JPY. I think it will be at least 11,000,000 maybe 12,000,000 JPY. Less weight, more carbon fiber, special seats , special brakes. I think its closer to US equivalent $110k-$120k. I think the goal was the ZR1 price , which is set at $105k now.